James Shapiro, Larry Miller Professor of English and Comparative Literature at Columbia University, discusses Shakespeare in America at 7 p.m. this Thursday, May 1, at the Harry Ransom Center. A reception and book signing follow, and books will be available for sale. Shapiro’s newest work, Shakespeare in America: An Anthology from the Revolution to Now, explores Shakespeare’s role in American culture. The anthology, published by the Library of America in celebration of the 450th anniversary of Shakespeare’s birthday, comprises 71 pieces from American poets, politicians, essayists, novelists, and more. 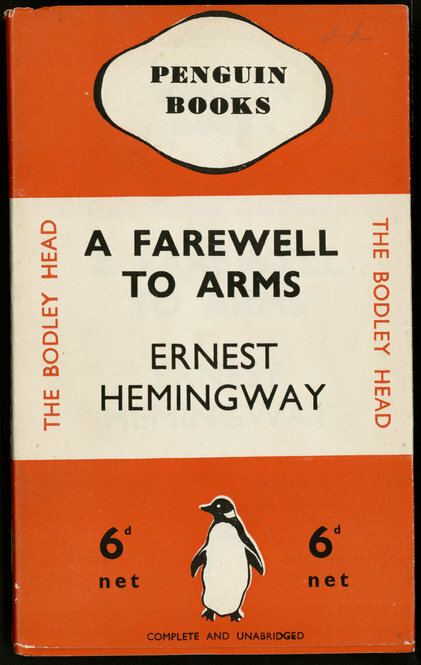 It includes works by Edgar Allan Poe, Woody Allen, Cole Porter, Isaac Asimov, and James Agee. 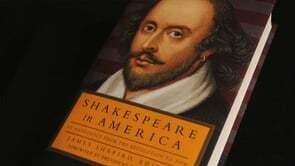 The anthology aims to show that, although America declared its independence from Great Britain, Americans have adapted Shakespeare for use in cultural expression. In a recent interview, Shapiro said, “American history tends to be represented in a kind of clear-cut, steady march. What became clear to me through this book is the uses—disturbing and exhilarating in equal measure—to which Shakespeare has been put. People have used Shakespeare as a means to make arguments that are not easily made or expressed in this country about race, gender, war, social justice, identity.” The full interview may be viewed in the above video. The Ransom Center holds three copies of the Shakespeare First Folio and several quarto editions of the plays, along with prompt books, costume designs, and many other materials relating to productions of the plays from the eighteenth century to the modern era. 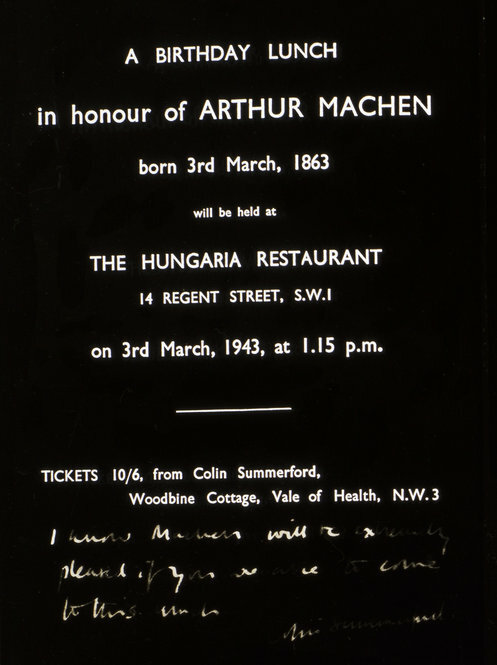 The Welsh horror fiction author Arthur Machen turns 150 this week. 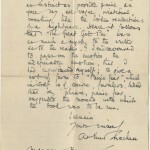 Machen, an influential figure in the budding supernatural fiction scene of the late nineteenth and early twentieth centuries, is best known for his novella “The Great God Pan,” and for accidentally proliferating a legend about angels protecting the British army at the Battle of Mons in World War I. The Ransom Center houses an extensive collection of items pertaining to the author, comprising 20 archival boxes of material. 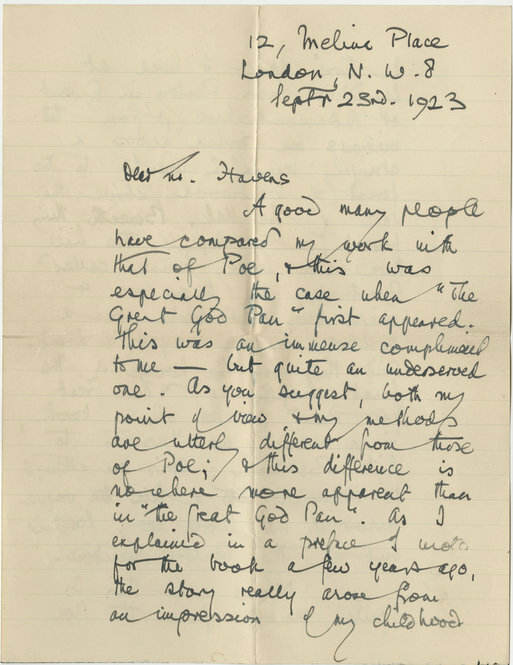 The Machen collection features handwritten drafts, page proofs with Machen’s notes, correspondence with family and friends including A. E. Waite and Oliver Stonor, and miscellaneous ephemera. 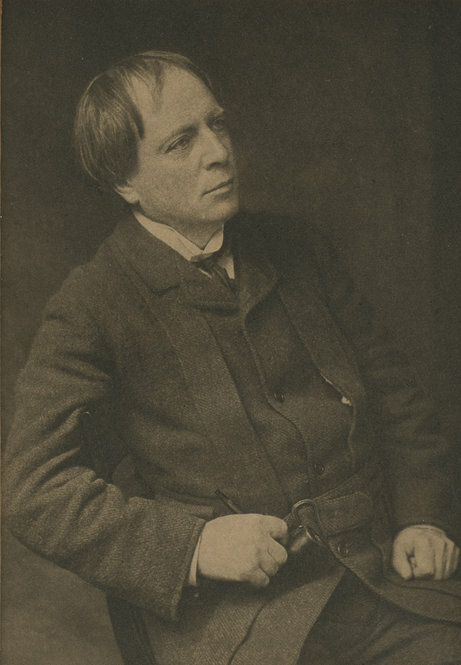 Additionally, the Center’s Arthur Machen literary photography collection contains portraits of the author and his residences. 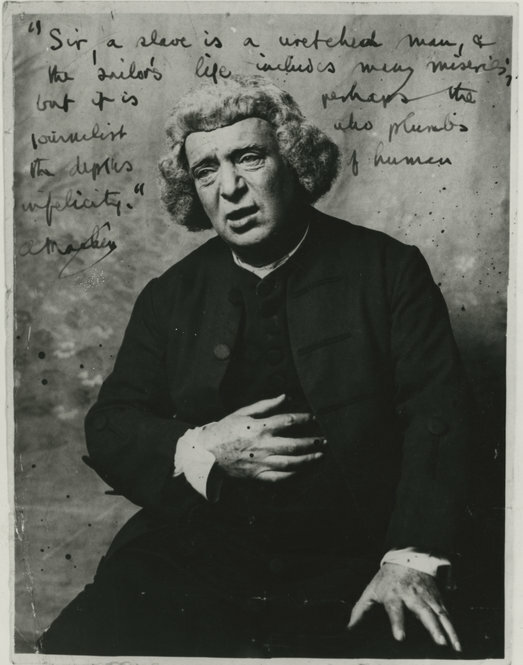 150 years later, Machen’s influence lives on. Stephen King novels are widely read, having sold 350 million copies worldwide. 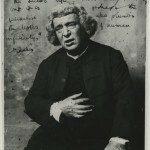 Supernatural horror dramas permeate popular culture, with successful television series like American Horror Story capitalizing on themes prominent in Machen’s own works. 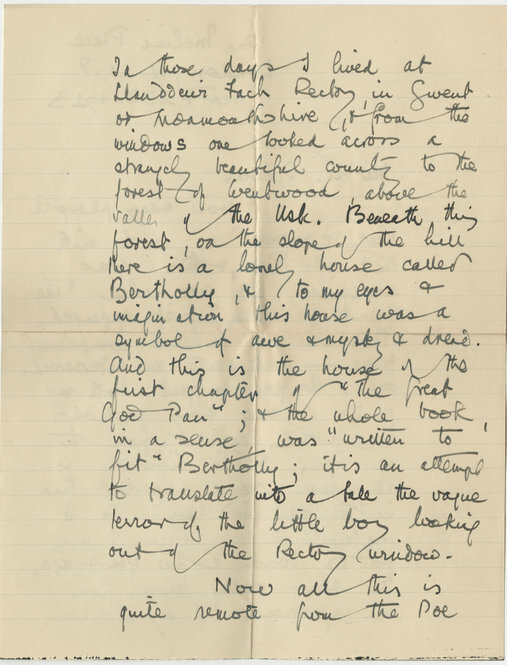 Were he to witness many of horror fiction’s modern incarnations, Machen might detect a familiar scene, reminiscent of the lonely house called Bertholly situated in the misty hills of Monmouthshire. Please click the thumbnails below to view full-size images. 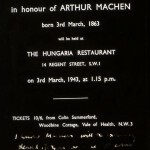 Negative of an invitation for a birthday lunch to celebrate Machen’s birthday in 1863. 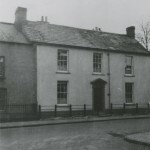 Photograph of Arthur Mahen’s residence. 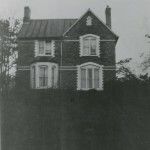 Photograph of Arthur Machen’s birthplace. 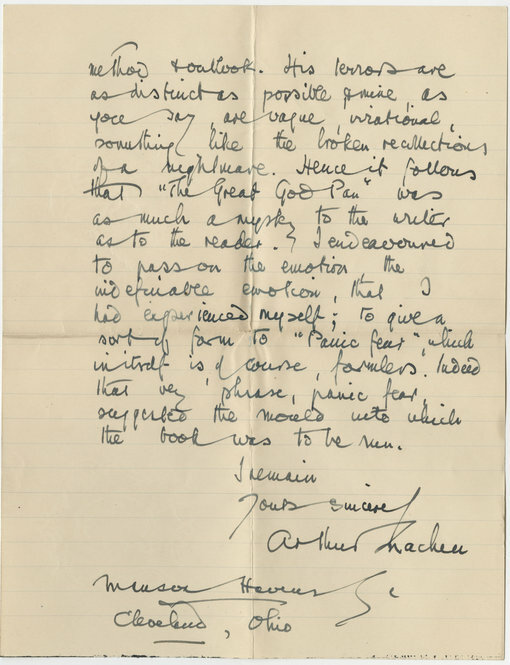 Autograph letter from Arthur Machen to Munsen Havens dated September 23, 1923. 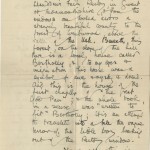 Letter from Arthur Machen Reproduced by permission of A.M. Heath & Co Ltd.
Jeweled bindings, which use metalwork, jewels, ivory, and rich fabrics to decorate a book, date back at least to the Middle Ages, but the form was revived around the turn of the twentieth century by the English binders Sangorski & Sutcliffe. 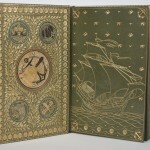 Francis Sangorski and George Sutcliffe met in evening bookbinding classes in 1896. After a few years teaching bookbinding at Camberwell College of Art, they opened their own shop in a rented attic in Bloomsbury despite the difficult economic climate. Then on October 1, 1901, they founded Sangorski & Sutcliffe. 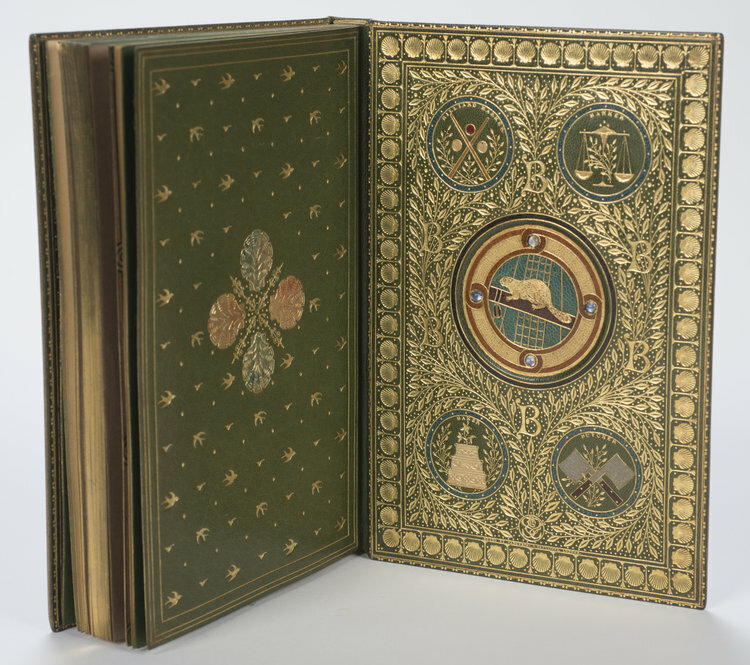 Quickly, they became known for their sumptuous multi-colored leather book bindings complete with gold inlay and precious jewels. Their designs were intricate, bold, and creative. These early years were the golden age of the company. 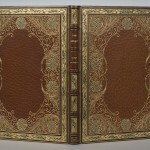 During this time Sangorski & Sutcliffe created dozens of fine bindings and grew in both popularity and notoriety. More than 80 Sangorski & Sutcliffe originals are housed in the Ransom Center’s collections. 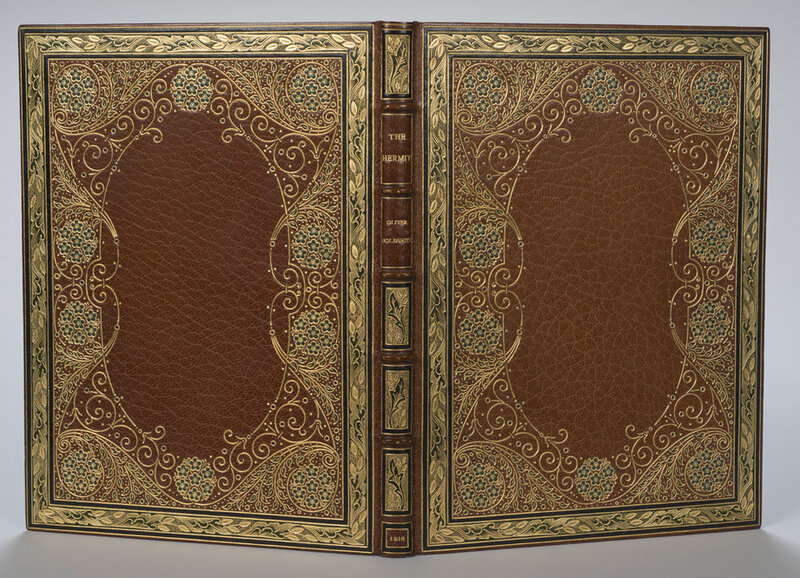 Many of the Sangorski & Sutcliffe books at the Ransom Center are high-quality bindings but rather plain in appearance, while a few of them are quite ornate. 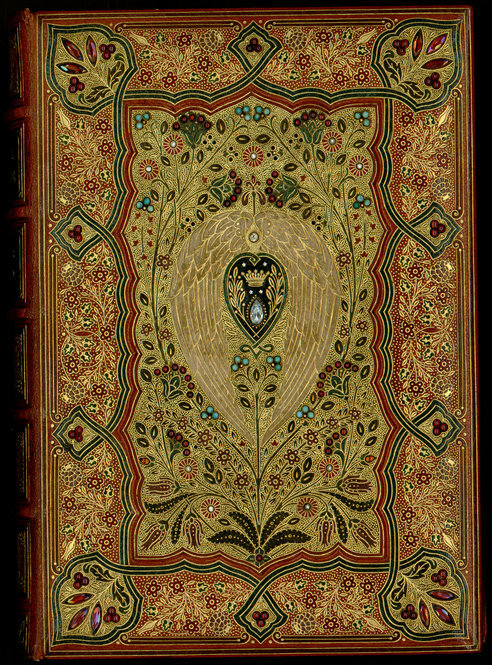 A Sangorski & Sutcliffe binding of Thomas Moore’s Lalla Rookh, for example, has semiprecious stones inlaid inside the front and back covers. 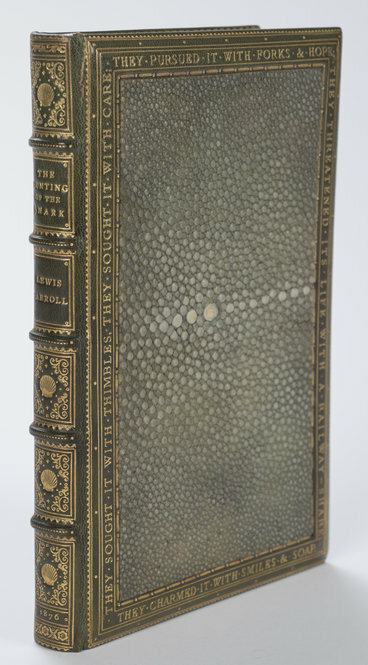 An edition of Lewis Carroll’s The Hunting of the Snark is bound in leather with stingray onlay, and semiprecious stones are inlaid inside the front and back covers. 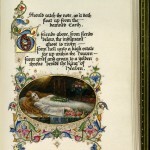 Two works, Oliver Goldsmith’s The Hermit and James Russell Lowell’s The Vision of Sir Launfal, are handwritten in calligraphy on parchment by Alberto Sangorski with decorative borders and illuminated miniatures. 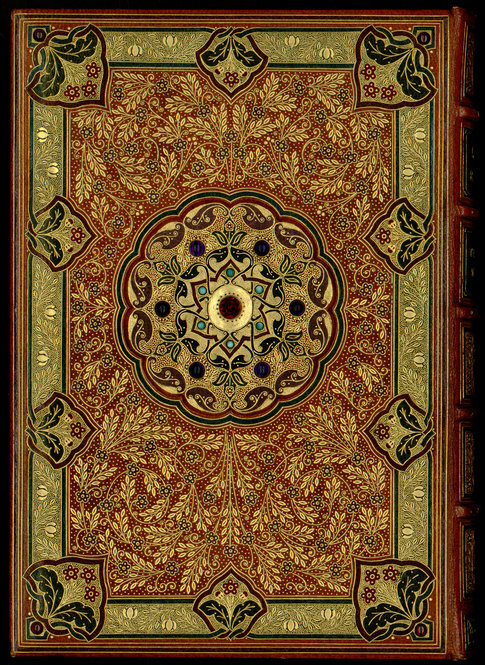 One famous book that the Ransom Center doesn’t hold is a book known as the Great Omar, which was a magnificent Sangorski & Sutcliffe binding of Rubáiyát of Omar Khayyám, a narrative poem about the importance of living in the moment. Set in a Persian garden, the lyrical verses are filled with imagery of roses, celebrations of wine, and questions about mortality, fate, and doubt. 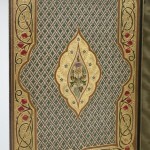 Sangorski & Sutcliffe was commissioned in 1909 to design the luxurious binding for the Rubáiyát. 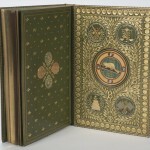 The front cover was to be adorned with three golden peacocks with jeweled tails, surrounded by heavily tooled and gilded vines. The Great Omar was the pride of Sangorski & Sutcliffe. Sadly, it was fated for disaster. 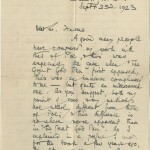 The book was sent on the Titanic in 1912. The Great Omar went down with the ship and was never recovered. 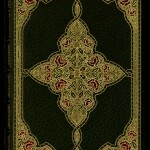 A second copy of the Rubáiyát was bound on the eve of World War II. This copy was kept in a bank safe vault to protect it. However, enemy bombing during the war destroyed the bank, the safe vault, and the second version of the Great Omar. 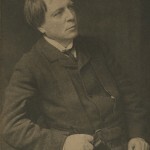 Stanley Bray, the nephew of George Sutcliffe, created a third version of the book after he retired. 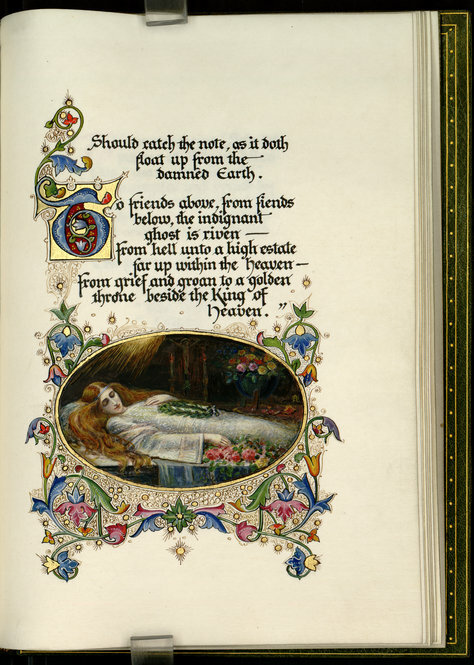 This third version follows the original design and is housed in the British Library. View a video that chronicles the story of the Great Omar, a story that was highlighted in the Ransom Center’s 2009 exhibition The Persian Sensation: ‘The Rubáiyát of Omar Khayyám’ in the West. 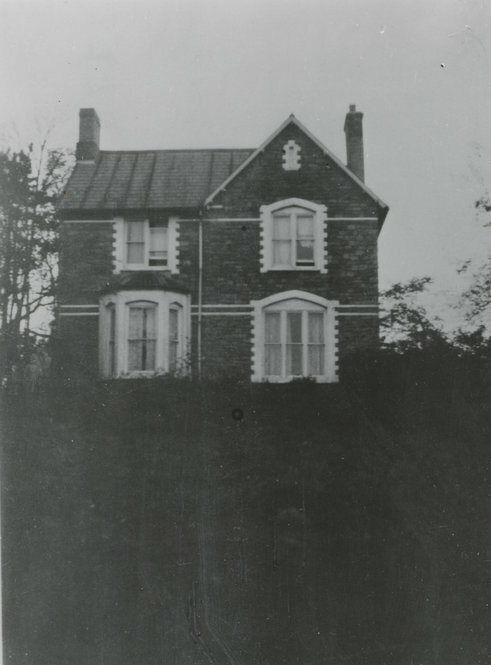 Sangorski drowned in 1912, but Sutcliffe continued the firm until his death in 1936. The business changed hands and names in the postwar years as interest in fine bindings declined. 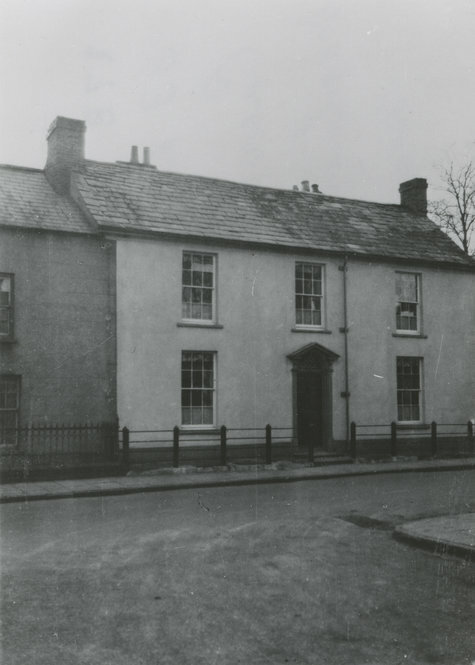 The firm was bought by Shepard’s in 1998, and the name of Sangorski & Sutcliffe was restored. 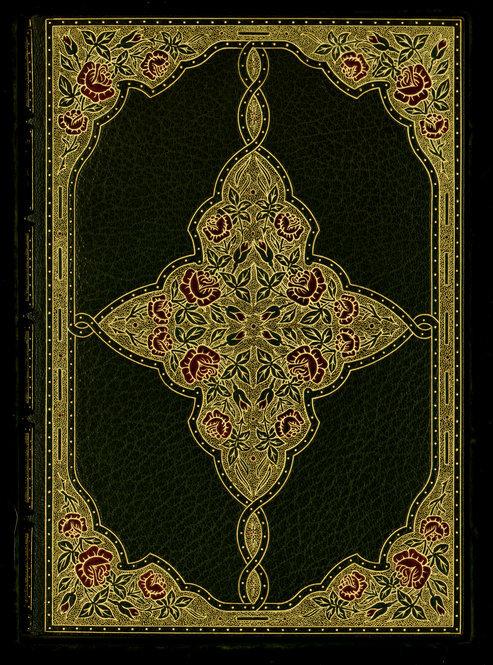 Cover of Oliver Goldsmith’s “The Hermit.” The text is Alberto Sangorski’s calligraphy on parchment, with decorative borders and illuminated miniatures. Photo by Pete Smith. 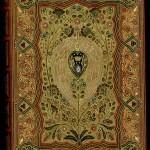 Front cover of Thomas Moore’s “Lalla Rookh” with a jeweled binding by Sangorski & Sutcliffe. Photo by Pete Smith. 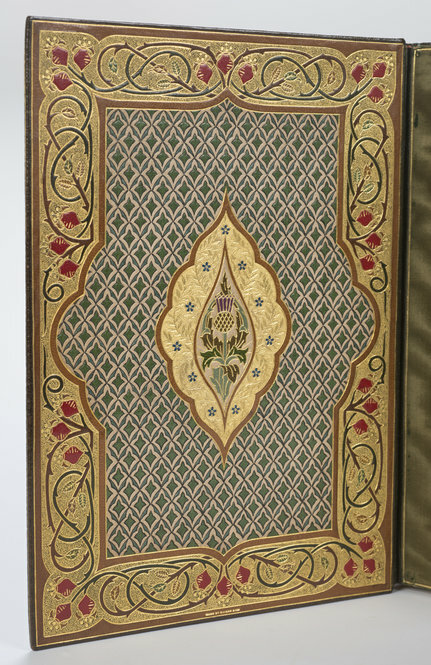 Back cover of Thomas Moore’s “Lalla Rookh” with a jeweled binding by Sangorski & Sutcliffe. Photo by Pete Smith. 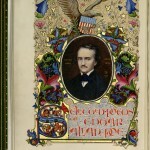 Front cover of the illuminated manuscript of “Selected Poems of Edgar Allan Poe” bound by Sangorski & Sutcliffe. Photo by Pete Smith. 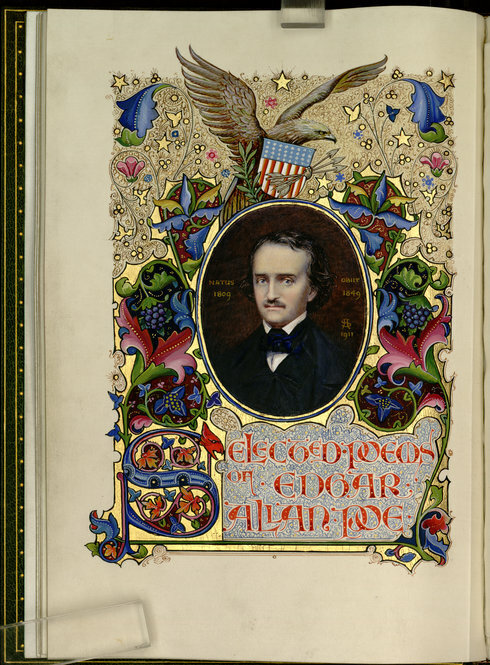 Title page of the illuminated manuscript of “Selected Poems of Edgar Allan Poe” bound by Sangorski & Sutcliffe. Photo by Pete Smith. 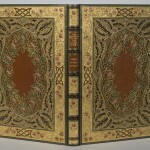 “Lenore,” an illuminated leaf in “Selected Poems of Edgar Allan Poe” bound by Sangorski & Sutcliffe. Photo by Pete Smith. 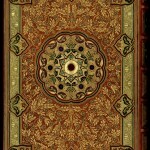 Inside front cover of “The Sensitive Plant” is embellished with multicolored leather onlays, inlays, and gold tooling. Photo by Pete Smith. 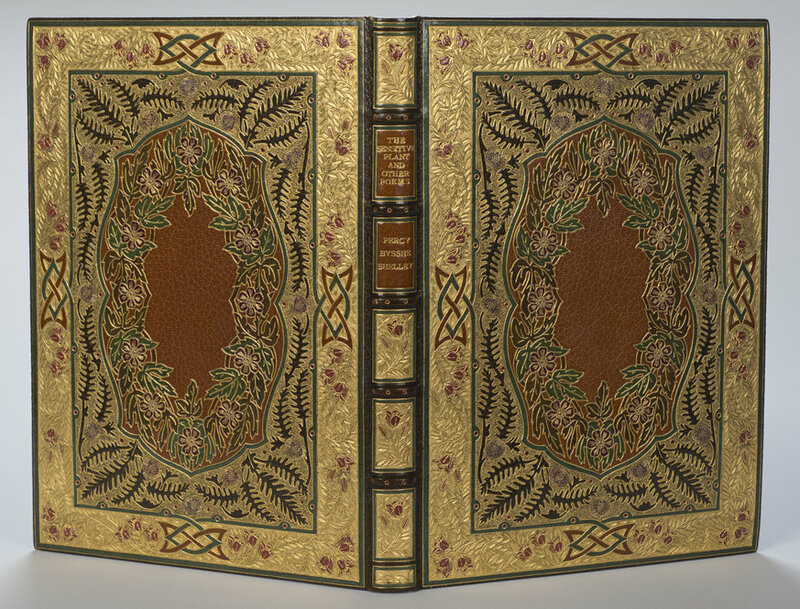 Cover of Percy Shelley’s poem “The Sensitive Plant” bound by Sangorski & Sutcliffe. 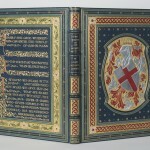 The text is handwritten on parchment by Alberto Sangorski, with decorative borders and illuminated miniatures. Photo by Pete Smith. 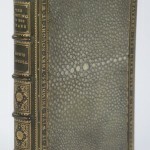 A Sangorski & Sutcliff edition of Lewis Carroll’s “The Hunting of the Snark” is bound in leather with stingray onlay. Photo by Pete Smith. 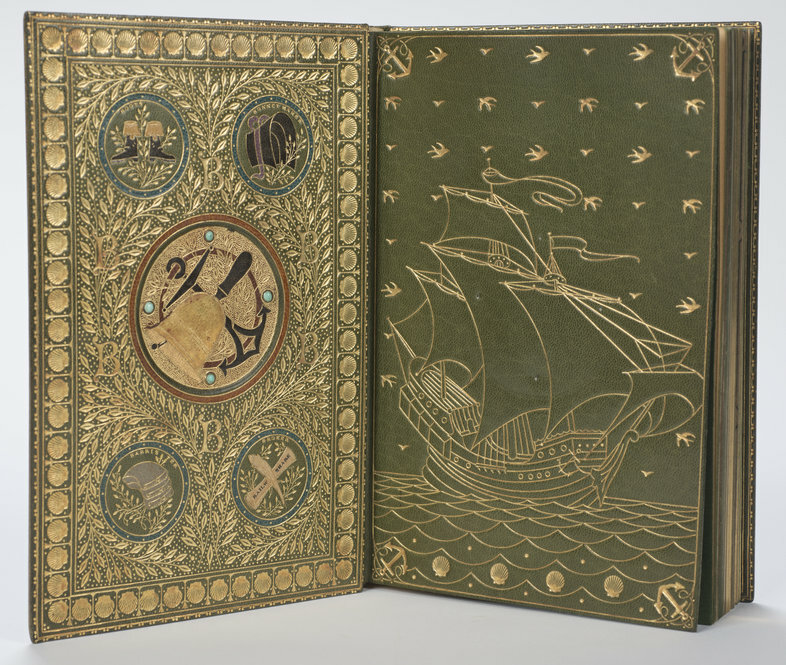 “The Hunting of the Snark” has semiprecious stones inlaid inside the front cover. Photo by Pete Smith. “The Hunting of the Snark” has semiprecious stones inlaid inside the back cover. Photo by Pete Smith. 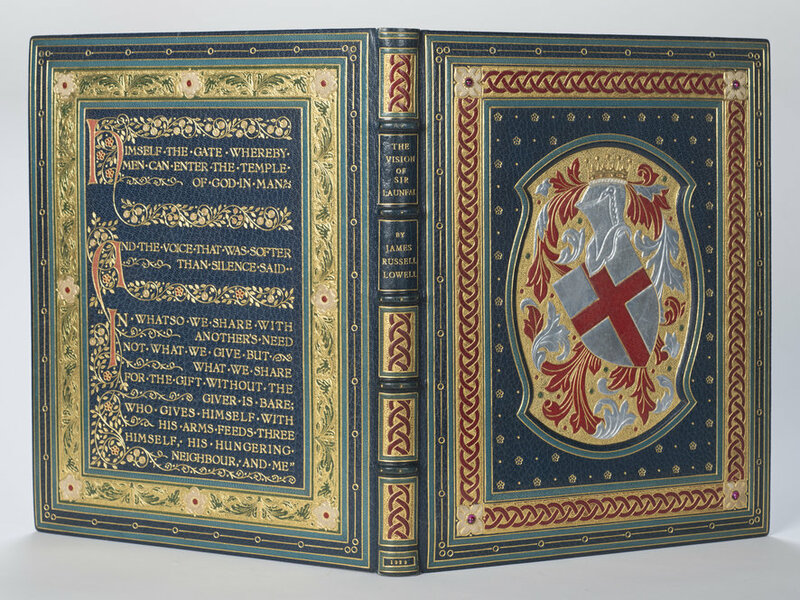 The cover of James Russell Lowell’s “The Vision of Sir Launfal” is handwritten in calligraphy on parchment by Alberto Sangorski with decorative borders and illuminated miniatures. Photo by Pete Smith. Graduate intern Laura Wellen places Albert Einstein's molecular kit in a display case for visiting students. Photo by Jennifer Tisdale. Graduate intern Chelsea Weathers places a lock of Edgar Allan Poe's hair in a display case for visiting students. Photo by Jennifer Tisdale.